Common in the US, the concept of ‘venture debt’ has only recently been picked up by the UK and is still yet to become widespread. This relatively new form of funding is aimed at companies who have secured at least one round of funding from a recognised Venture Capital firm; these lucky SME’s might be eligible for a ‘double-whammy’, if you will. It is usually provided by a number of banks and finance companies who specialise in the venture debt market. Unlike traditional bank lending, venture debt is available to startups and growth companies that do not have positive cash flows or significant assets to use as collateral. Even though this makes them significantly un-credit-worthy, in the venture debt scenario, banks loan against the credit-worthiness of the VC firm which is funding the company, rather than the credit-worthiness of the company itself. The terms of the loan also differ significantly from traditional bank loans. The repayment of the loan ranges from 12-48 months, and is usually interest only for a period of about 6 months, followed by interest plus principal over 2 years, or balloon payment. In terms of the amount itself, it would be a set percentage of the last equity raise – this will vary depending on the loan provider, but will usually be around 30%. 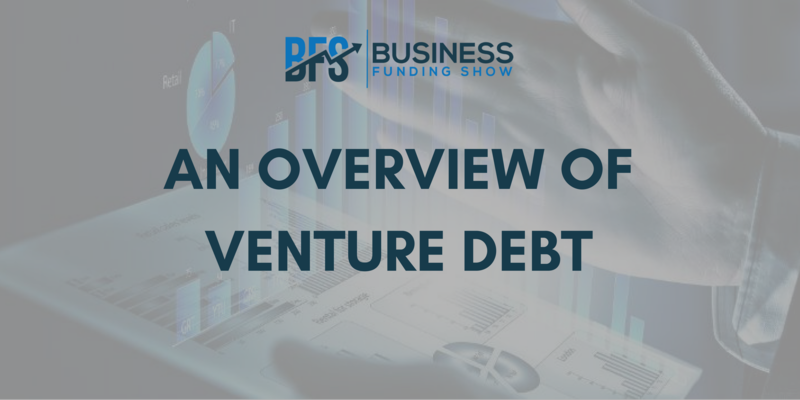 Venture debt is essentially a (relatively) short term financing instrument that costs around 20% of the loan over the two year period. The lender will also request warrants over equity in the range of 5% to 20% of the value of the loan. These warrants are usually exercised when the company is acquired or goes public, yielding an 'equity kicker' return to the lender. What are the benefits of venture debt? Essentially, venture debt will reduce the founder and investor dilution while still providing the capital needed to grow. The reason why it is so alluring, is because it offers entrepreneurs the option to borrow money without having to give away equity. As a complement to equity financing, venture debt provides growth capital to extend the cash runway of a startup company, in order to achieve the next milestone. It can act as a sort of ‘bridge’ between equity rounds, effectively increasing the company’s valuation. While this can be extremely beneficial to entrepreneurs, as with every alternative funding option, there are significant risks to look out for. When should you stay away from venture debt? As a rule of thumb, you should not consider venture debt when your company has no access to capital in the first place, as this is likely to cause problems while repaying. And the extreme effects of this can be disastrous: should the company default on any of the repayment terms, the venture debt managers have the right to call the loan and force the company to be sold or liquidate. For the same reasons, debt is also not a good idea if your company has a high burn rate, or if the company’s revenue stream is highly variable. The risks involved here could prove to be too great. You should also think about the percentage of the total operating expenses which the debt payments would account for. Ideally, this should not be exceeding the 20% level, otherwise it could end up being too costly. Is venture debt the right option for you? It should be duly noted, that venture debt certainly is not for everyone. If you are indeed lucky enough to have received VC funding, this does not mean that you should immediately be gravitating towards the debt option. There are a lot of variables related to your company’s financial health to consider when deciding if venture debt is the best decision. Equity finance is traditionally the most attractive route for startups and scaleups, however, the cost of it can sometimes put entrepreneurs off. Thus, looking for further funding rounds, some might want to consider venture debt instead. If you utilise it thoughtfully and carefully, and at the right time in the growth of your company (which can be crucial), it can prove to be a more cost-efficient, and all-round more profitable option.